Xbox One’s on-screen keyboard looks pretty decent, and miles better than the ‘letter-strip’ format currently used on Xbox 360. The image was posted by Gamepur but bears an IGN watermark so I won’t post it here. It came from a Project Spark live presentation on Xbox One. 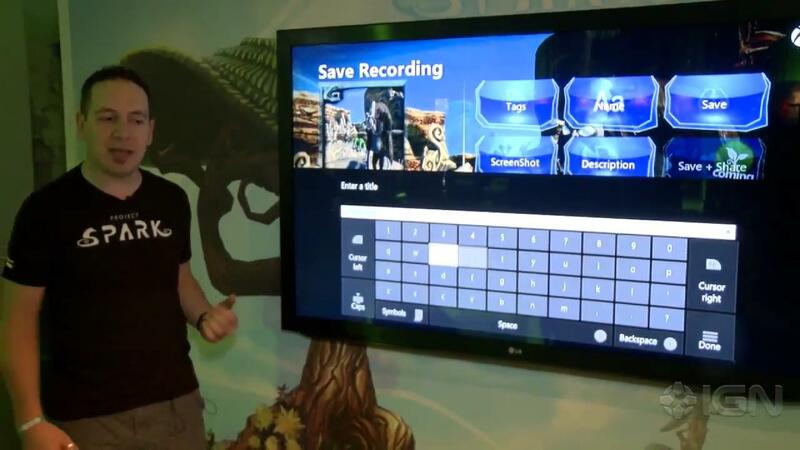 I can confirm – having seen Project Spark in the flesh – that this is the keyboard interface used in the game. It seemed perfectly functional and as a person who cannot stand the letter-strip format on Xbox 360, this is a vast improvement.